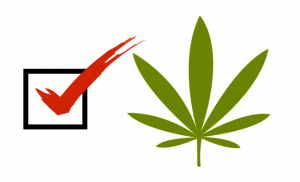 The medical marijuana movement – a new provision! As found in Congress’ new 1,603-page spending plan, federal agents are now banned from policing medical marijuana users and raiding dispensaries in any state where medical marijuana is legal. Though the media has been hesitant to broadcast this news, you can be assured that this will change the way America sees and treats medical marijuana – and ultimately signals a big shift in drug policy. After two decades of tension and controversy between Washington and the states regarding medical marijuana, the passage of this bill marks a victory for so many. The origin of the movement towards federal legalization of medical marijuana can be linked to the many organizations advocating for federally legalized marijuana such as the Americans for Safe Access, the National Organization for the Reform of Marijuana Laws, and the Marijuana Policy Project. The Drug Enforcement Administration (DEA) however is not so thrilled, still arguing that marijuana is in the category of most dangerous narcotics, with no exception to medical use. The legalization of medical marijuana began in the 1990’s and now 23 states and the District of Columbia have legalized it. 2016 is predicted to be an interesting and transformational year regarding marijuana laws, especially with the November presidential election approaching. Candidate Bernie Sanders advocates to end federal marijuana prohibition, while Hillary Clinton wants to “loosen restrictions” on marijuana, and Rand Paul says that regulations should be left up to states. As we know, marijuana for both medical and recreational use remains illegal in the state of North Carolina. If you or someone you know has received a marijuana (pot) or paraphernalia charge, give us a call at 910-793-9000 to schedule a consultation with experienced Attorney David Collins. Change in gas tax. As of January 1, you will now save one cent off of every gallon of gas, a total of 35 cents in taxes. However, in exchange for the tax break here, some DMV services have increased, such as registration and license renewal. North Carolina’s goal with this is to generate revenue for the NCDOT with respect to road construction and maintenance. District Attorneys (DA’s) to carry concealed weapon. 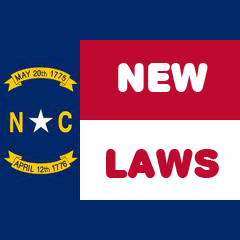 DA’s in North Carolina are now permitted to carry a concealed weapon in the courtroom with appropriate permits. Unemployment requirements on the rise – start job seeking! For those applying and those who are currently on unemployment, you are now required to prove you have contacted five businesses per week, whereas before it was just two. Abortion awareness and alternatives. Prior to January 1 in North Carolina, doctors have always had to hand out information regarding alternatives to abortions to their patients 24 hours before executing the procedure. Now doctors are required to give out this information 72 hours in advance, and abortion clinic inspection reports have to be posted on the web. The goal here to give women more time to consider their options and final decision. Protect your child’s identity! With identity theft on the rise, North Carolina now offers a Protected Consumer security freeze option for children under the age of 16. Parents can have this plan put place in to prevent anyone from taking their child’s name.